The number of feature phones is available in the market. But you always want to choose the best of them. Sony Xperia Z5 Premium and Dual are serving good features. I think this will suit according to your expectation. Sony is a renowned company and organization. its product quality and price always be decent in the market. As you know that company always focus on the quality of product and provide latest features an updated version to its customer. The company does not compromise on service part. That is the reason for the established service center in every location. Sony Company Xperia Z5 dual and Xperia Z5 premium Smartphone is running in the Indian market. This phone is available in best price for you. The quality and adopted technology is marvelous and look are decent. Actually, the inbuilt features support the price of this phone. The basic question you can ask that what is the price of Sony Xperia Z in India and what difference between Z5 and Z5 premium. I explain specifications in details. Sony Xperia Z5 premium dual Smartphone is the first phone, which provides 4000 resolution on display. The second benefit you will get that 2160x3840 pixels resolution on the screen. The pixels density of this Smartphone is 806 PPI. Z5 Premium has 5 Megapixels front camera and provides 3430 MAh battery backup to users. The Xperia Z5 premium has 23 Megapixels rear camera. The Z5 dual display screen is 5.20 inch big. Another feature of this phone belongs to RAM and Camera. You will get 3 GB RAM and 5 Megapixels front camera with 23 Megapixels rear camera. 2900 MAh battery will give long backup. Both the phone is working on 5.1 Lollipop Operating System. This is the common feature will avail by the user. Xperia Z5 delivery system is very fast by the combination of two technologies. Users can get 5 times closer to his subject without losing the quality of the photo. Celerity of picture depends on the camera sensors, lenses and both are very exclusive and powerful here. Auto-focus system of the camera makes unique. What Other Features Can Avail By Users In Xperia Z5 Phone. Sony Xperia Z5 has the best low-light technology in the camera phone. Picture quality in the night is equipped with the next generation image sensor. Provide the facility to capture the beautiful night scenes as per your choice. This Smartphone delivers a cool design with the metal frame as well as precision engraving. Glass deliver the picture to cool your eye gently. The design of the phone is equipped to protect the phone from rain and dust with the IP68 rating. The new concept has given in this phone is integrated fingerprint sensor. You can securely unlock in a slight movement of your finger on the side button. That will give a convenient approach to open the phone to users. Great battery backup can use to listing music, talking and also charge quickly in 45 minutes. Single and Nano SIM are used on the phone. The memory and storage capacity is up to 200 GB with micro SD Card. Weight and dimensions are 154 gram and 146 x72x7.3 mm respectively. 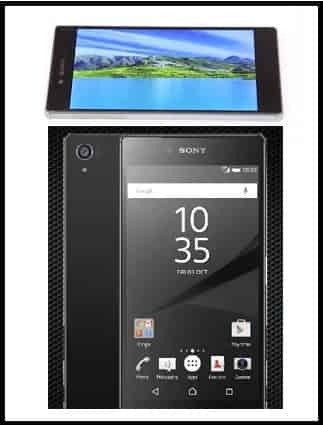 Sony Company has given 5.2” FHD and 1080p (1920X1080) display screen with Snapdragon 810. You will also get 64-bit Octa Core Processor In phone. The company has fixed the price of Sony Xperia Z5 dual approx. Rs. 52990/- and Rs. 62990/- for Xperia Z5 premium. This is not high for good quality features. Overall you are getting the latest features in one phone.